The track is also sometimes referred to as being in Redruth or Camborne. It was originally cinder and built in 1979. 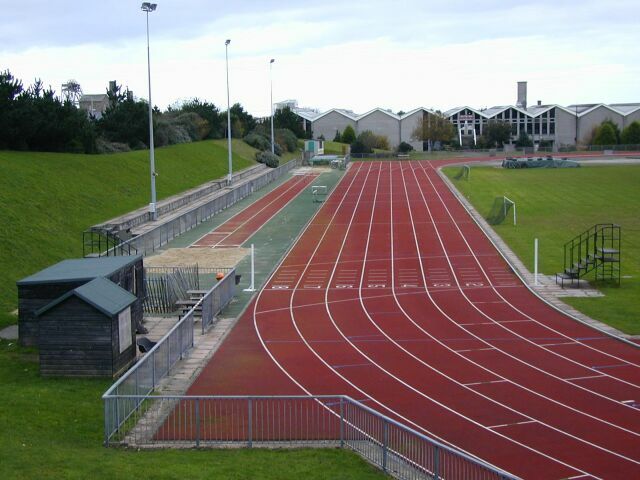 The synthetic track was officially opened by Seb Coe on 10th April 1993. It has a Polyflex surface and was laid by Recreational Services Ltd. The adjacent Carn Brea Leisure Centre closed for a while in 2000 but is now open again. A small section of the back straight was resurfaced in August 2001 after it was damaged by a lorry.